Get rewarded for looking after your pelvic floor with the Together We'll Be Stronger Club. Create an account to join today and start earning points on your purchases. Get a £5 Voucher when you set up an account with Kegel8 and subscribe to the Kegel8 Newsletter. Redeemable off your next purchase. 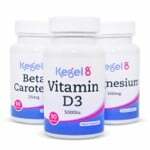 Earn 5% on all orders at Kegel8.co.uk when you are logged into your account. Earn 100 points (£1) for every review you write at Kegel8.co.uk (maximum 300 points per day). Redeem your points as soon as they appear in your account (minimum spend £2.50 (250 points)). Points may only be earned and redeemed in accordance with these terms and conditions. 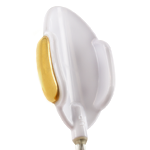 You must have an account at www.kegel8.co.uk, and be signed into that account, to earn points on your order. You will earn a £5 voucher for setting up an account at www.kegel8.co.uk AND subscribing to the Kegel8 Newsletter. This will be sent to the email address provided when subscribing to the newsletter. Points can only be spent on baskets with a value greater than £2.50 (250 points). Points will be cancelled on orders that have been cancelled or refunded. Points expire 12 months after the date they were originally added to your account. The maximum points earned by leaving product reviews is 300 per day (i.e from 3 reviews). 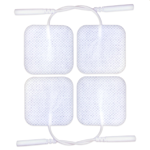 Points have no monetary value and cannot be used for any purpose other than redeeming against orders at www.kegel8.co.uk. Points are not earned on the part of an order purchased using points. Points are added to your account when your items are dispatched. Points are added to your account immediately following non-purchase points events; such as opening an account. Points can only be spent once. Points can only be earned in whole numbers. Refunds can be credited as points on request. Points cannot be spent on phone orders - however, they can be earned during phone orders. We reserve the right to make changes to these terms and conditions as necessary. We will give customers as much notice as we reasonably can when a change is being made. Earning or redeeming points will constitute your acceptance of the revised terms and conditions. The value of a point may be adjusted upwards or downwards, as appropriate, in respect of accounting errors, multiple accounts, refunds issued, products returned or suspected fraud, for which we have full authority.